Eurofins BioPharma Product Testing Hamburg carries out chemical and biological analyses of biopharmaceuticals and cosmetics. With more than 30 years of experience and thousands of GMP/GLP studies per year Eurofins BioPharma Product Testing Munich GmbH supports its clients especially in the fields of in vitro toxicology, bioassays, microbiology, biocompatibility, immunoanalytical and bioanalytical studies. We cover the whole range from standardized test to special requirements and tailor-made studies. We are certified in accordance with GLP (Good Laboratory Practice) and GMP (Good Manufacturing Practice) and have been accredited with DIN EN ISO 17025 for the testing of medical devices. We are listed by the World Health Organization (WHO) and have been audited successfully by the FDA. In addition our preferred partner BSL BIOSERVICE in Munich received full accreditation by AAALAC (Association for the Assessment and Accreditation of Laboratory Animal Care). The Eurofins PHAST Group supports the international research-based pharmaceutical industry in the development of patient-optimized pharmaceuticals. The Eurofins PHAST “Centers of Excellence” are established for spectroscopy, disso­lution/drug release, and solid-state analytics. Clinically relevant dissolution methods are developed and validated, and the in vitro performance of dosage forms is characterized. Eurofins PHAST’s expertise extends to particle characterization and molecular structure elucidation. As a "USP Authorized Distributor", Eurofins PHAST is the official source for reference standards of the United States Pharmacopeia in Europe. 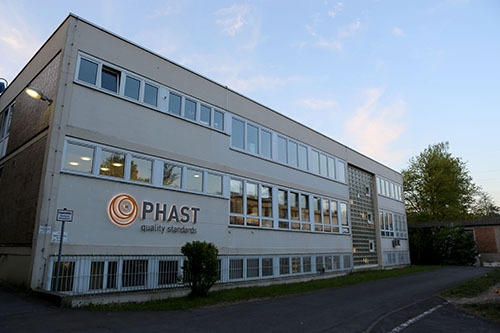 The highly qualified Eurofins PHAST staff allows maximum flexibility and quality. All laboratories have been successfully GMP-certified at international level. Mul­tiple FDA inspections are an additional confirmation of our consistently high quality level. 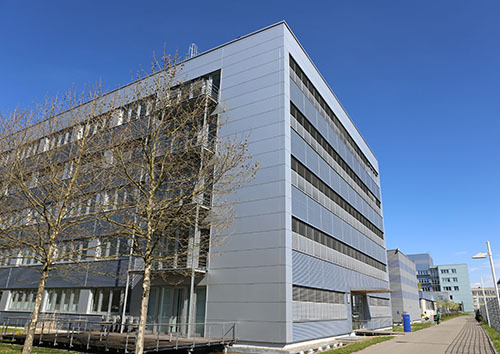 The Eurofins PHAST Group provides the services from its sites in Homburg, Konstanz, Frick (CH) and Robion (F), and offers more than 6,000 m² of laboratory space.